Hopefully by the end of the month, I’ll be able to pull together a list of my favorite orphan/foster care/adoption books in honor of National Adoption Awareness Month. In the meantime, I figured I’d do an extra book review. This will be the first non-fiction book review for the blog. Enjoy! It would be 24 hours from the time Levi was left to die in the field until I first saw him. 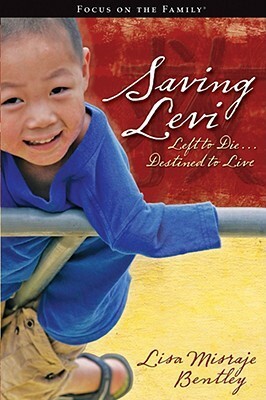 Lisa Bentley and her family were serving in a small, Chinese orphanage when they met the little boy that would become their son, Levi. He had been found in a field, left to die. Seventy percent of the baby’s body was covered in third to fourth degree burns. His survival seemed doubtful. As he fought for his life, Levi drew people from around the world together. I’d been eyeing this book in CBD catalogs for some time and I finally purchased a copy at a homeschool conference several months ago. It’s a riveting story. Of course, when adoption and orphan care is involved, it doesn’t take much to make me like it! 😉 There are so many stories out there that showcase the very real truth that God cares about orphans. This book is one of those stories. Thanks for posting, I will definitely have to pick this book up! You’re welcome! I hope you enjoy it as much as I did.